Slalom Sport – Your partner for sports and professional rental with expert advice. 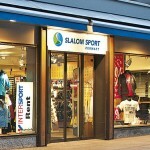 At Slalom Sport you will find a vast choice of sports clothing, accessories and a wide range of first class rental products. Experience the most beautiful mountain setting all around Zermatt. Our friendly and highly professional staff will provide you with personally adjusted equipment for a wonderful and safe vacation.